Businesses Click Here For More Info. These fantastic offers are only available to Club Members. So join now and start receiving great deals delivered direct to your inbox. Imagine receiving Special Offers and great discounts and deals from all your favourite local businesses: Restaurants, Shops, Theatres and more. There's always something new to enjoy and always great savings to be had. "traditional" methods, our member businesses can afford to offer you better deals than they do elsewhere. So why not take advantage of them. 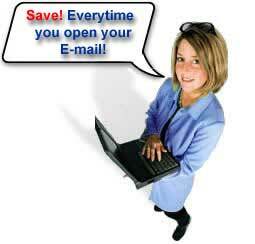 Contact us today to see if there is an Email Club operating in your area. Would you like your own Email Club? © Copyright 2004. EmailClubUK. All Rights Reserved.